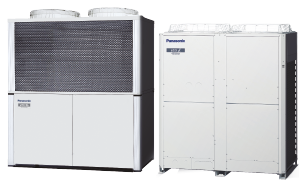 After successfully leading the introduction of R32 in Japan, Panasonic is ready to drive the refrigerant change in Europe. The company has already introduced R32 models to the Nordic market in September 2015, with its outstanding A+++/A+++ HZ-Series, and now, Panasonic is set to introduce new R32 models across the rest of Europe within the coming months. 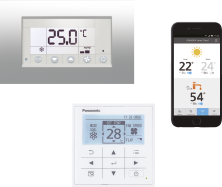 Panasonic will also be offering comprehensive training and information on R32 over the coming months, to help distributors and installers get to grips with the new technology. On 9th June 2014, the EU F-Gases Regulation came into force with the aim to protect the environment by reducing emissions of F-gases from refrigeration and air-conditioning units, electrical switchgear, heat pumps, fire-protection systems as well as other sources. Only under extremely specific circumstances might ignition occur. An example of this would be when ignition energy is applied whilst the gas concentration of R32 is between 13.3% and 29.3%. This gas concentration materialises at a level at which oxygen deficiency can occur (18% oxygen concentration or below), an environment in which people will not work in. When exposed to high temperatures R32 will, like all HFC refrigerants, break down into three components: carbon dioxide, carbon monoxide and hydrogen flouride, which converts to hydrofluoric acid, a toxic substance, when it comes into contact with water. It is important to remember that this is the case for all commonly used HFC refrigerants; indeed this process clearly indicates how important it is for those working in the refrigeration sector to be mindful of safe and proper working practice at all times. 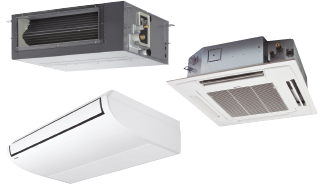 The EU F-Gases Regulation follows previous research which revealed that R32 could be an attractive solution with a low-global warming potential (GWP) for air conditioning and heat pump installation, with performance comparable to R410A. The results were in favour of R32, in terms of efficiency and cost as a suitable replacement for R410A. R32 has been used as a component of both R407C and R410A for many years, and makes up 50% of R410A. The move towards R32 is part of an overall strategy to reduce the impact of refrigerants on the environment. In 2020 refrigerants such as R404A and R507, with a GWP higher than 2500, will be banned for use in stationery units and will have to be converted to R407A. 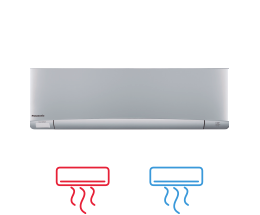 By 2025 refrigerants with a GWP greater than 750 will be banned for use in splits air conditioning units, and in 2030 use of R410A, R134A and R407C will be heavily restricted. 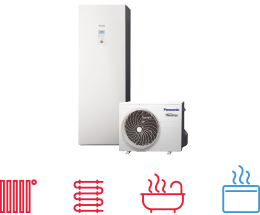 Panasonic is continuing to develop new products that incorporate R32. More information on these products will be announced over the coming months.